The CVC Words Mat presents 42 colorful images of easily recognizable consonant-vowel-consonant words. Use Bee-Bot or Blue-Bot and the CVC Words Mat to develop and build language, reading, and matching skills. New! The CVC Words Mat now comes with a deck of CVC Word Cards, each of which shows an image on one side and the corresponding word on the other. The CVC Words Mat presents 42 colorful images of easily recognizable consonant-vowel-consonant words. Each is in a square corresponding to a Bee-Bot or Blue-Bot step. 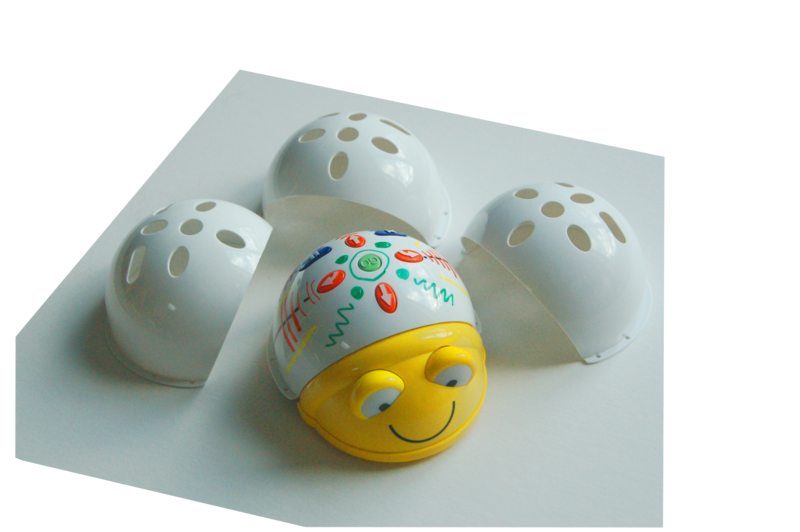 Students can identify sounds and words and send Bee-Bot or Blue-Bot on its way to find them. The CVC Words Mat harnesses the excitement of Bee-Bot and Blue-Bot to develop and enhance language, reading, and matching skills.